Free things to do in San Francisco in February include fun festivals, attractions, and museums. Highlights include the Chinese New Year Festival, SF Giants Fanfest, and Tulipmania at Pier 39. 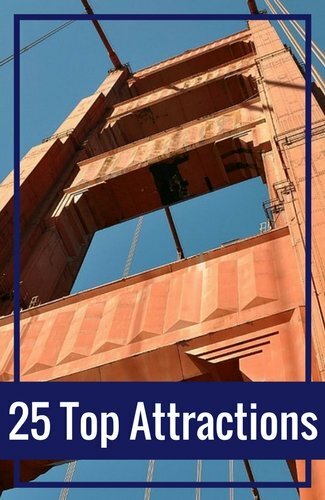 Additional free activities this month include a visit to the Cable Car Museum, a stroll across the Golden Gate Bridge, and a climb up to Twin Peaks. 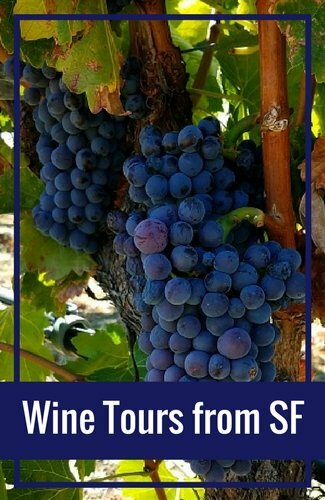 Read on from my 25 favorite free things to do this month in SF. Gung hay fat choy! It's that time again when SF Chinatown comes alive with all kinds of colorful Chinese New Year celebrations. The famous parade is a long-running tradition in San Francisco, bringing together over 100 community groups, dancers, bands, drums, lanterns, firecrackers, and the coveted Golden Dragon. The parade takes place on Saturday night starting at 5:15pm at Market and Second Streets. The street fair takes place both Saturday and Sunday during the day. This event is free to attend, but get there early as the streets fill up quickly. While baseball fans have to wait a bit longer for the 2017 season to officially kick off, they have the opportunity to get hyped for the great games to come at the annual SF Giants Fan Fest. 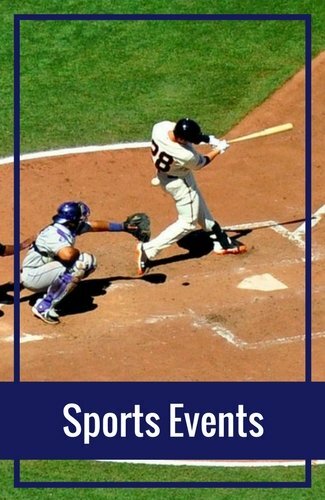 On this day at Oracle Park (formerly AT&T Park) in the South of Market District (SOMA), fans get to meet their favorite players, take photos with the World Series trophies, stock up on more orange and black SF Giants gear, and even play catch on the field. 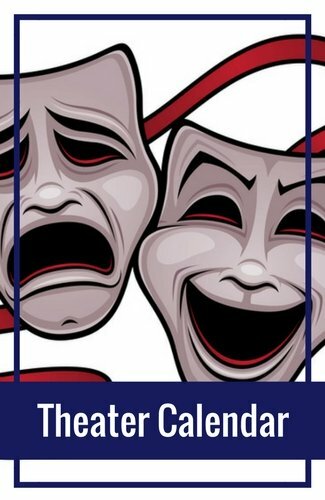 The Giants Highlight Theater will be playing last season's best moments on the big screen, paying tribute to the team we love as we transition to the new season. One of my favorite free things to do in San Francisco in February is take advantage of the admission-free days at the city's museums. SF has such a great variety of world-renowned museums that you should visit as many as you can on your trip without having to spend a penny. This month, on designated days, you'll get in for free at the Asian Art Museum, the Conservatory of Flowers, the de Young, the Legion of Honor, the Exploratorium, the California Academy of Sciences, and many others. A great way to get to know San Francisco on a more intimate level is by joining the free walking tours that the SF Public Library offers every day in different parts of the city. With your friendly and knowledgeable volunteer guide, you'll explore some one of San Francisco's neighborhoods in depth (like Chinatown, North Beach, or the Castro), or you'll explore a theme (like Pacific Heights Mansions, Historic Market Street: Path of Gold, or Downtown Deco), or you'll discover one of SF's star attractions (like the Golden Gate Bridge or the Japanese Tea Gardens). Well, it's almost spring, and that means seeing the city in a wide range of vibrant multi-hued colors. 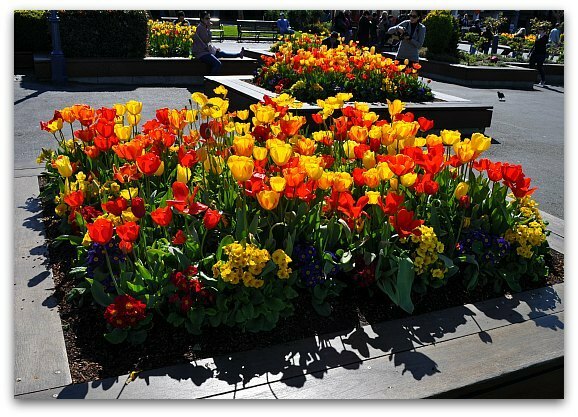 Head over to Pier 39 at Fisherman's Wharf this month to discover a beautiful array of tulips throughout the grounds. This makes for great photo ops at one of SF's most visited tourist destinations, and a great opportunity to enjoy a bit of nature in heart of the city. If you arrive at 10am, you can take a free walking tour to learn more about the flowers. One of the most fun free things to do in San Francisco in February is the annual flash mob-style pillow fight at Justin Herman Plaza. Simply show up with a pillow hidden in your bag, and when the clock strikes 6pm, let those feathers fly! Of course, you'll only want to hit those who have also brought a pillow for the fight. This event is a blast to take part in, or even just to watch. It's also an unsanctioned event, so attendance is at your own risk (although it is a LOT of fun)! A cable car ride up and down the city's famous hills is a must on the checklist for pretty much every single visitor to San Francisco. However, many people don't know about the free Cable Car Museum, which is also the unit that keeps the cable cars running each day and stores the cable cars at night. Here, you will not only get a look at antique paraphernalia for this form of transportation and learn about their history in SF, you'll also see the wheels pulling the live cables in action. San Francisco's towering orange icon, the Golden Gate Bridge, connects San Francisco to the north and serves as a gate between the bay and the Pacific Ocean. 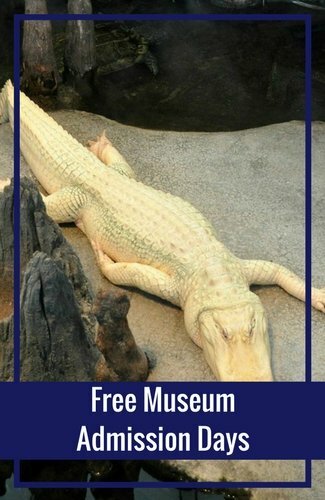 This popular tourist attraction is open every day and is free to visit. There are great lookout points on both ends of the bridge where you can snap photos, but walking the 1.7 miles across gives you even better views and an amazing experience. 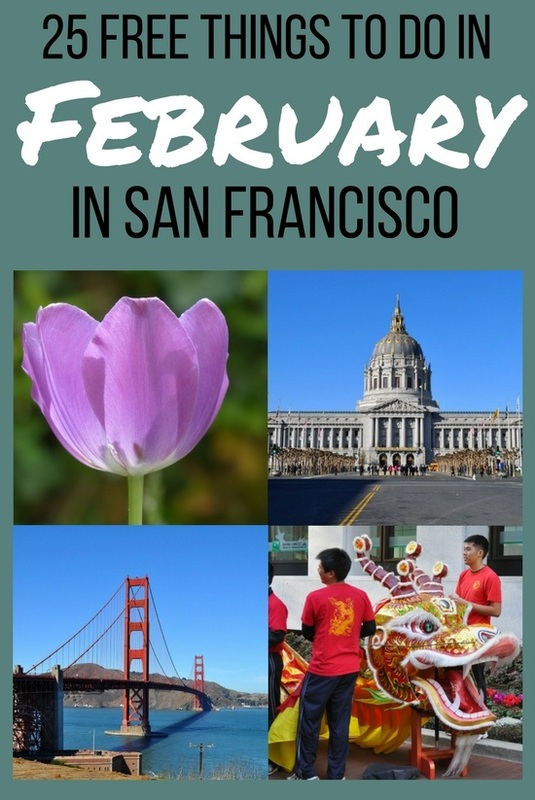 If addition to these free things to do in San Francisco in February, you will also find dozens of ways to save on Goldstar. They offer a large selection of tour, activity, and events tickets at up to 50% off. Click the links below to learn more about these top picks and to find other great deals on their site for your stay. Another one of my favorite free things to do in San Francisco in February is visit Lombard Street in the Russian Hill district. There is the famously crooked brick-lined stretch between Hyde and Leavenworth Streets that winds its way back and forth eight times down the hill because it is so steep. You can walk down along either side and then stand at the bottom on Leavenworth to take your postcard-perfect pictures as the cars weave between the gardens planted along the turns in the street. Fisherman's Wharf is one of the most popular San Francisco districts for tourists, as it's full of shops, restaurants, entertainment, and ferries heading to Alcatraz and Angel Island. However, many people don't know the maritime history that created this booming waterfront section of the city in the first place. Luckily, the San Francisco Maritime Museum is easy to get to and free to visit. Inside, you'll see lots of artifacts from old ships and lighthouses, learn about the first men and women who worked on the bay, as well as the wildlife that currently calls the bay home, and get great views of Alcatraz Island and the Hyde Street Pier. When you visit the Palace of Fine Arts, you'll feel as if you've traveled back in time to a serene scene as you visit the Roman rotunda surrounded by a beautiful lake. 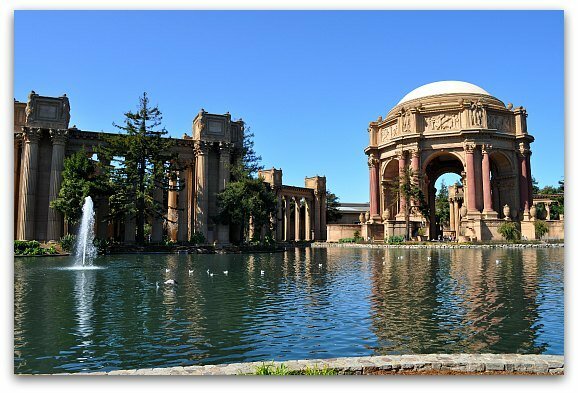 This public park is the only remaining relic of the 1915 Panama Pacific Exposition that helped put San Francisco on the world stage after the devastating 1906 earthquake and fire. The architecture is stunning, but it's the overall image (which has served as a backdrop for innumerable movies and wedding photos) that really captivates you and invites you to sit down for an afternoon picnic. Another one of the interesting cultural free things to do in San Francisco in February is visiting the Museo Italo Americano. The museum was originally located in SF's North Beach, where most of the city's Italian-American population resides. However, it was recently moved to the Fort Mason Center in the Marina to accommodate more paintings, sculpture, and photographs about Italian culture. The museum also serves as a cultural center that provides Italian language lessons, lectures, and community events. The Mexican Museum is another cultural center that moved from its original location in the Latino neighborhood of the Mission to the Fort Mason Center so it could include more art and history exhibits. This is the only SF museum affiliated with the Smithsonian Institute in Washington, D.C., and its collections are rich and extensive. Some of the artwork you'll see here dates to the pre-Hispanic Mayan and Aztec societies, and other pieces are contemporary. The idea of a house with eight sides may seem strange (and indeed this is one of only two Octagon Houses currently existing in San Francisco), but back in 1861 when it was built, this colonial style was popular because it allowed for more airflow and lets lots of light in. This historical landmark is not only fascinating to visit for its architecture, but for all the antique decorative pieces stored inside, from valuable silver to portraits to china to furniture. Check it out for free in the Marina District. Unbeknownst to most passersby strolling along the Embarcadero, Pier 24 is not just another boat dock. Rather, it is an impressive photography museum that houses 20 different galleries from the early 1900s to the present. The clandestine nature of this admission-free hidden gem means that you won't have to face any crowds when you visit, but you must make an appointment well in advance. Perhaps you've heard of, or belong to, the Wells Fargo Bank, which primarily serves the West Coast of the U.S. Here in the Financial District of San Francisco, you'll find a free two-story museum about the bank's history, full of interesting exhibits which stem from California's Gold Rush of the 1840s and 50s. You'll see an interactive stagecoach display, as well as rare photographs and artifacts from the 19th century. San Francisco is famous for its sourdough bread (especially in the form of a bread bowl filled with clam chowder). 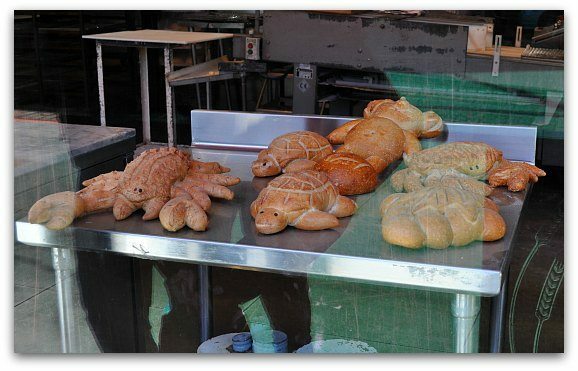 Located in Fisherman's Wharf, the lure is not only being able to eat the delicious bread, but the ability to watch it being made, too. The flagship bakery of Boudin is located right in the middle of all the action, on Jefferson Street between Pier 39 and Ghirardelli Square. Here you have the chance to go right up to the huge window in the front to watch crafty bakers turn dough into elaborate shapes like crabs, turtles, crocodiles, and more. 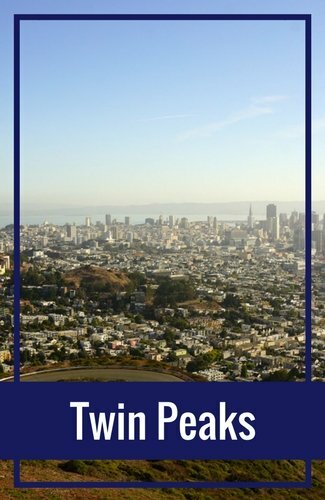 Among the more exhilarating free things to do in San Francisco in February is the hike to the top of Twin Peaks. With an elevation of 922 feet, this is the second highest point in San Francisco, known for its spectacular views of the city and the Bay Area. You can drive or take a bus up to the north peak parking lot, from which point you'll walk a short way to get 360-degree views. But you could also explore the area more on foot, hiking around the habitat of the many beautiful butterflies as well as brush rabbits, coyotes, and a wealth of plant life. Diego Rivera was a famous Mexican artist whose once coveted work in the U.S. became controversial because of his involvement in the Communist party. San Francisco contains three great Rivera works from the 1930s. His large, colorful fresco-style murals depicting people and social movements can be found at the City Club downtown, the SF Art Institute in North Beach, and SF City College on the south side. A visit to SF City Hall is worth it for the ornate architecture of the building, its interesting history, and the fact that it's located in the middle of several museums and theaters. Make sure to admire the building's golden dome (the tallest in the nation) and columns from the outside, as well as the grand marble staircase and elegant rotunda on the inside. You'll also see statues paying tribute to Harvey Milk and George Moscone, who were assassinated in City Hall for sticking up for gay rights in the 1970s. The National Cemetery in the Presidio was the first national cemetery on the west coast. It is close to the Golden Gate Bridge and it is currently one of only two cemeteries still located within San Francisco city limits. More than 30,000 military personnel are buried here. This is not only an important historic and military landmark, but also a beautiful and peaceful spot from which you can admire clear views of the Golden Gate Bridge, the city, and Alcatraz and Angel Islands. 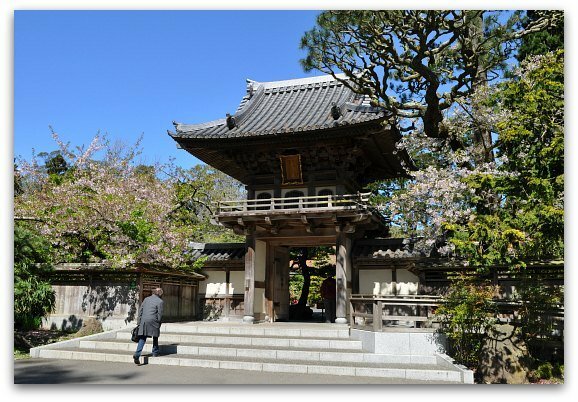 Visiting the Japanese Tea Garden in Golden Gate Park during their admission-free hour on weekday mornings is one of the many free things to do in San Francisco in February that will transport you to another place and inspire you. The free hour is on Mondays, Wednesdays, and Fridays from 9 - 10am. Once inside, you'll enjoy strolling on the serene paths that take you from the high-arching drum bridge to the five-story pagoda to the Zen rock garden to the tea house, and all the pristinely cared for gardens in between. Many people miss the Chinese temples when they visit Chinatown, as there is so much to see, buy, and eat it's easy to get lost in the shuffle. But if you look closely, there are several temples sitting quietly amidst the chaos, and they are free and open to the public. Just remember to be respectful when you enter, as they are active places of worship for the Chinese community who practice the Buddhist and Daoist faiths. My three favorite temples are the Kong Chow, Tin How, and Ma Tsu, which all contain beautiful red and gold lanterns, altars, and statues. When people think of San Francisco, they often picture a grassy park on a hill across from a cute row of Victorian homes, with the city skyline in the background. This "Full House" image is Alamo Square, a quaint neighborhood in the middle of the city that boasts lots of these antique Painted Lady houses from the turn of the century. This is a great place to take a picnic and relax for an afternoon while enjoying the view. The Rincon Center is a great free place to stop while you wander around downtown. Inside this art deco building, which has preserved a lot of relics from its days as SF's main post office in the 1940s and 50s, you'll find the lobby covered with historic murals depicting California's history. After admiring and reading about the different murals and artifacts, you can wander into the center courtyard, where you'll find a few eateries surrounding a fountain with water falling from the ceiling. While there are tons of great free things to do in San Francisco in February, you will also love some of our top paid museums and attractions. However, you can save on the admission to some of these with the CityPass discount card. It includes admission to the California Academy of Sciences, the Exploratorium, and the Aquarium of the Bay. 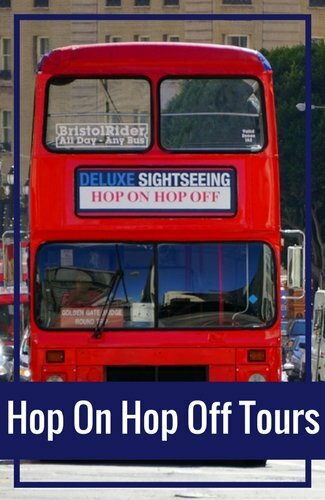 Other benefits include a ticket for a 60-minute bay cruise and a multi-day Muni pass (our public transit system which includes both buses and cable cars).